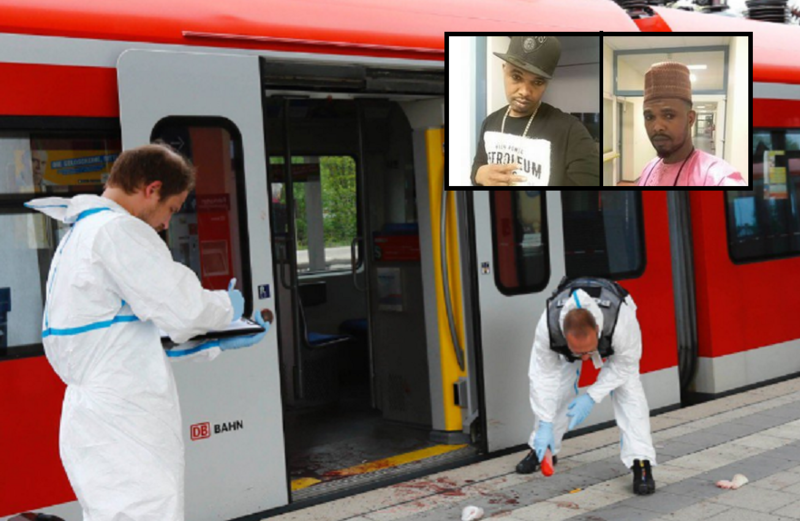 As we here at TheGoldwater.com reported on the day itself (see related coverage) a 33-year-old man from Niger, now identified as Mr. Mourtala Madou, went into a Hamburg train station on 12 April of this year and slashed the throats of both his ex-girlfriend and their one-year-old girl. The murder suspect, who has a Facebook account showing photos with guns and underaged drugged girls, in fact, beheaded his own little girl given the size of the knife, but this detail was kept out of the German press. In the days that followed, German press tried to keep the incident and its details off the internet and television. There was no TV Channel reporting about the stabbing nor about the fact that Mr. Madou, who is of the Islamic faith, had made threats towards the woman and their child, for months on end which she reported to police. Currently, the Hamburg provincial government is still trying to conceal the beheading. When MPs of the anti-immigration party Alternative for Germany (AfD) made a parliamentary enquiry about the police raid on Mr Madou’s house and details of the murder case (aka, they asked whether the rumours on German blogs that the child had been beheaded were true), the judicial administration, in a clear breach of its constitutional duty, refused to answer. At the time, German daily Die Welt noted about the parliamentary question which was censored that “the text of an enquiry and the questions are blackened out without consultation" which is something "that almost never happens." In January 2017, thousands of German girls and women were sexually abused during New Year celebrations in the city of Köln, mostly by male migrants. During the first few weeks after the events, the German press was instructed not to report on it. It was only after Dutch and Belgian newspapers detailed the events that they followed suit. Wow! The government censorship is pretty crazy in Germany. The Latest National Socialist dictator of Germany has banned the Media from reporting that a Islamic flooding migrant Beheaded Baby. I wonder why the news blackout? Anil Primrose, I have read your statement twice. Still can't make heads or tails of it. too bad he didn't behead Merkel…. After reading this I still have to wonder why the lie Islam isn't seen for what it is? the words "strong delusion that they might believe a lie" jump out at me. To think Mr. Barry Soetoro calls this a religion of peace??? ?